Our study aimed to explore associations between microRNA-21 (miR-21) and PTEN/PI3K/AKT signaling pathway and, further, to elucidate the regulation of miR-21 on biological behaviors in human esophageal cancer cells. The expressions of miR-21, PTEN, PI3K, and AKT were detected in 89 esophageal cancer samples and 58 adjacent normal tissues respectively. The human esophageal cancer cells (TE11) were grouped as following: blank (TE11 cells without transfection), negative (TE11 cells with miR-21 negative inhibitor), and Inhibition-miR21 (TE11 cells with miR-21 inhibitor). Western blot was used for detection of PTEN, P13K, and AKT protein expressions, MTT method for cell proliferation, Transwell assay for cell migration and invasion, and flow cytometry for cell cycle and apoptosis. MiR-21, PI3K, and AKT have higher expressions, but PTEN has lower expression in esophageal cancer tissues compared with adjacent normal tissues. The esophageal cancer tissues with lymph node metastasis and poor differentiation showed significantly low positive rate of PTEN protein, but high positive rates of PI3K and AKT proteins. Compared with blank and negative groups, PTEN expression of TE11 cells in Inhibition-miR21 group was significantly up-regulated, but PI3K and AKT were down-regulated. Further, PTEN was a target gene of miR-21. Besides, compared with blank and negative groups, the proliferation, migration, and invasion of TE11 cells were less active in Inhibition-miR21 group. TE11 cells were significantly increased in the G0/G1 phase of cell cycles, but decreased in the S and G2/M phase in Inhibition-miR21 group. The TE11 cells exhibited significantly increased apoptosis rates. 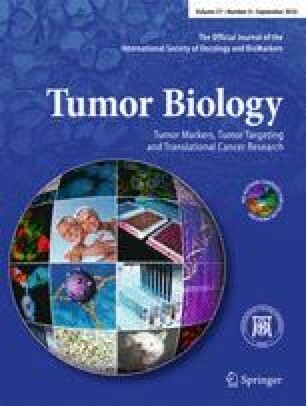 MiR-21 targets key proteins in PTEN/PI3K/AKT signal pathway, promoting proliferation, migration, invasion, and cell cycle, and inhibiting apoptosis of human esophageal cancer cells. It may serve as a novel therapeutic target in esophageal cancer. We would like to acknowledge the helpful comments from our reviewers on this paper.